Have you heard about Snapchat’s latest product? Most kids have, and they can’t wait to use it. 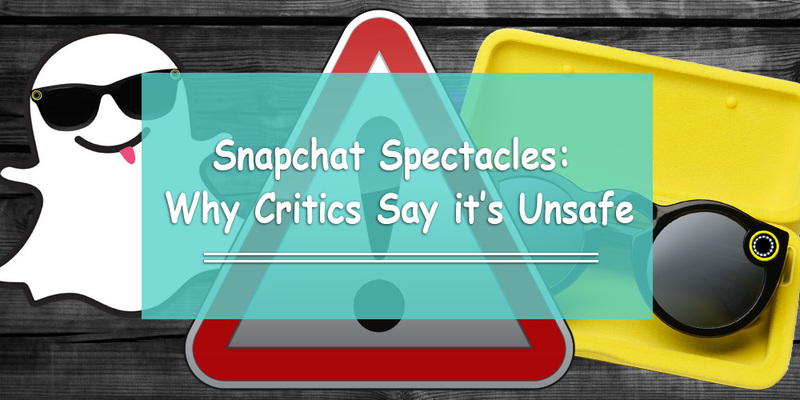 They’re called Spectacles, and they work in sync with the Snapchat app on your phone. In a nutshell, Spectacles are tech sunglasses that can record 10 seconds of video with the click of a button. They have a tiny camera built into the glasses that automatically upload videos into your Snapchat app. Many kids might love this device. However, as responsible adults, it’s important for you to know that the device might be unsafe for them to use. What’s Wrong with Snapchat Spectacles? Although youngsters have accepted the product well, it has sparked fears among discerning people. For instance, Snapchat hasn’t released anything regarding the precautions it’s going to take for the invasion of one’s privacy. Their argument is that these sunglasses – something that looks so harmless – will actually be used for surveillance purposes. Snapchat Spectacles, surveillance on your face! How can a social media app, one that was well-known for its short-lived videos and critically acclaimed privacy measures, create an app that makes it so much easier for someone to record people without them knowing? What if these mobile cameras get in the hands of people who want to use them for malicious purposes and/or at the expense of children? In other words, we are raising a community in which people are happily and voluntarily surveilling themselves. They are recording every moment of their life and posting it online for people to see. However, this product is getting mixed reactions about how it can be used to entice minors and post their videos without them even knowing. Social media experts say that the knowledge, or even the perception, of being watched online can have a chilling effect. It may make adults express themselves less on these apps, but the ‘coolness’ factor of taking photos with your sunglasses and posting them on Snapchat (or any other social media app) might not make any difference for kids. Of course, we’re not necessarily saying that Snapchat created a dangerous product; Snapchat Spectacles is simply a medium. The underlying issue is how people will use this product. It could be a really great Snapchat supplement, or it could be a really bad idea.